Filippo won a 7-night, 10-dive package in with Volivoli Beach Resort Fiji! 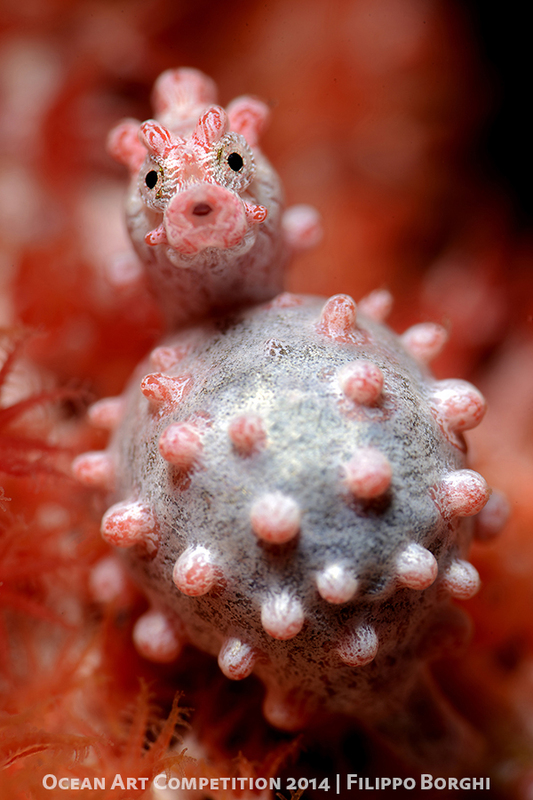 The story: This photo is of a pregnant bargibanti pigmy sea horse shot with shallow depth of field. Location: Way Island, Raja Ampat, West Papua, Indonesia. Camera: Nikon D800E, Nikon 105mm lens, Subal housing, dual Ikelite DS160 strobes.